Our range of products include pneumatic strapping machine, fully automatic strapping machine, semi automatic strapping machine, pet strap pneumatic machine, battery operated strapping machine and manual strapping machine. 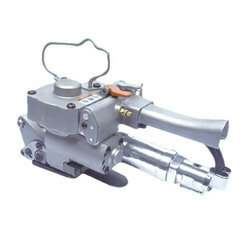 We are a renowned manufacturer, trader and supplier of a wide range of Pneumatic Strapping Machine. 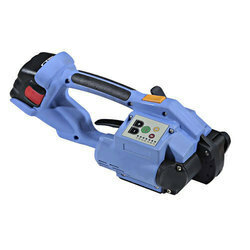 Our strapping machine is acclaimed among customers owing to its longer functional life. This strapping machine is manufactured from the quality material and latest techniques by our skilled professionals. We offer this strapping machine on numerous specifications so as to meet the need of customers. We put forth for our clients a exhaustive range of Fully Automatic Strapping Machine, which is manufactured from finest quality material. Our strapping machines are innovative, rugged, simple and reliable and offer the most value of money.These Strapping Machines are widely finds its applications in various packaging industries sectors. We introduce our precious clients with an excellent quality Semi Automatic Strapping Machine. The strapping machines offered by us are manufactured as per the set industry norms using finest material & leading techniques. Our offered strapping machines are known for its better operational life and smooth functioning. 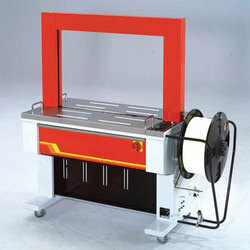 Also, customers can avail the offered strapping machines in a given time frame. Owing to years of experience and knowledge in this domain, we have been able to offer a premium quality Pet Strap Pneumatic Machine. The pneumatic machine offered by us can be availed from us on numerous specifications as per the need of customers. This pneumatic machine is manufactured by our skilled workforce using best quality of material & modern techniques in fulfillment with the set industry norms. Also, the offered pneumatic machine is strictly tested on numerous parameters of quality so as to make certain its flawlessness. 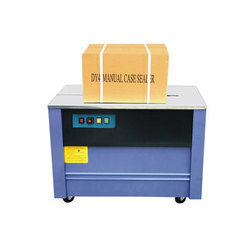 Riding on unfathomable volumes of industrial expertise, we are offering an excellent quality Manual Strapping Machine. The offered strapping machines are designed using optimum quality top notch material that ensures high durability, tensile strength and resistivity to adverse conditions. In addition, we check our strapping machines on various quality parameters so as to ensure their flawlessness. 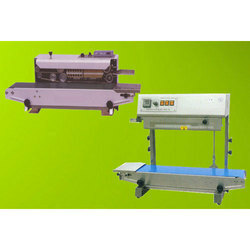 Customers can avail these strapping machines from us in a given time frame at affordable rates. The Band Sealing Machine is suitable for sealing and packing of single, double and multilayer pouches. It is widely used in different fields such as Pharma, Fertilizer, Spices, Aromatics and many repacking unit. NP-1120 Series machine is specially designed for vetrtical sealing. According to different carrying load,such machine is divided into different carrying load of single bag of 5 Kg respectively. 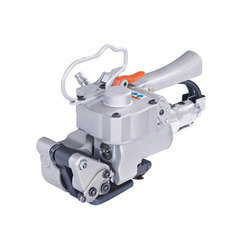 Moreover, it can also be equiped with solid ink coding system for color printing. The height of head and conveyor both can be adjusted, so as to making widely using,it also match operation with production line.